You can make a set of these adorable crepe paper Christmas trees designed by Cindy by following her tutorial at Joli Paquet right here! Don't you love the festive pastel color scheme? But you could make them in any color to fit your holiday decor. Have fun!!! What a cute creation! TY for sharing. 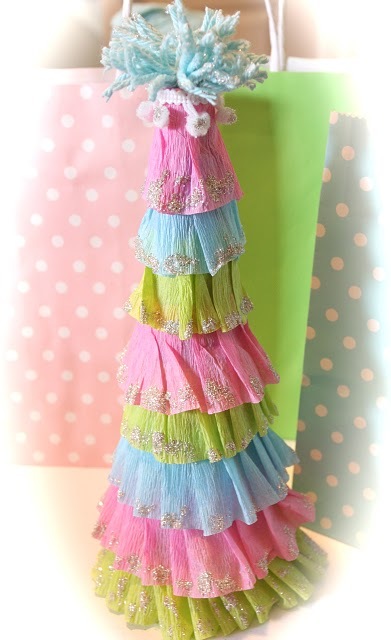 This tree idea is wonderful and I might just have to make one...I'm picturing maybe in white with some glitter around the edges. Thanks for the tip! this tree is adorable. perfect for a 70s barbie celebration but that's just me!